(NaturalNews) You'll be hard-pressed to find an all-natural product in the selection of over-the-counter acne treatments available on the market. These cleansers, creams, toners and spot applications contain countless chemicals that are harsh on the skin and can have harmful side effects to your health. And KidsHealth.org explains that using too much of the common acne fighters benzoyl peroxide and salicylic acid can actually cause more acne. (1) Even worse, a doctor might prescribe you medication that can throw off your body's natural systems and cause unhealthy side effects. Instead, try apple cider vinegar, which is safe enough to eat. This natural ingredient can provide acne-fighting benefits to clear your skin in a safe and healthy way. How Does Apple Cider Vinegar Help the Skin? Will Any Type of Apple Cider Vinegar Work? 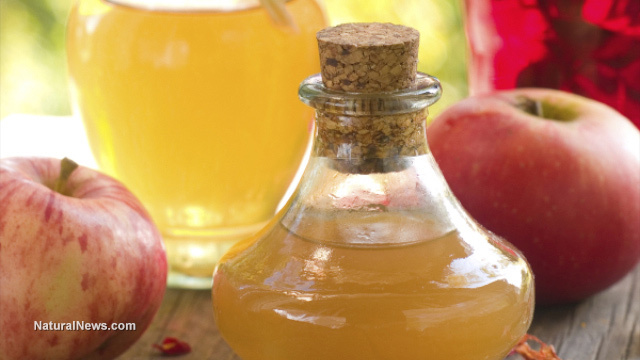 Even though apple cider vinegar is natural, your skin might have a reaction to it. Because of that, you should start with a mixture of much more water than vinegar to see how your skin reacts. After that, you can try more vinegar if needed.